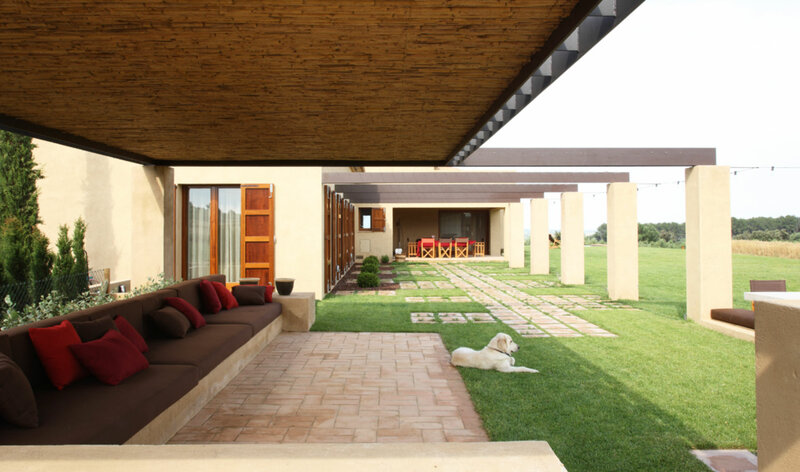 This rustic dwelling has been designed in a contemporary way and it is sorrounded by olive trees. The pool is elevated over the garden offering magnificent views over the sea. The kitchen is the main hub of the house. It is integrated with all the spaces and becomes the heart of the home.